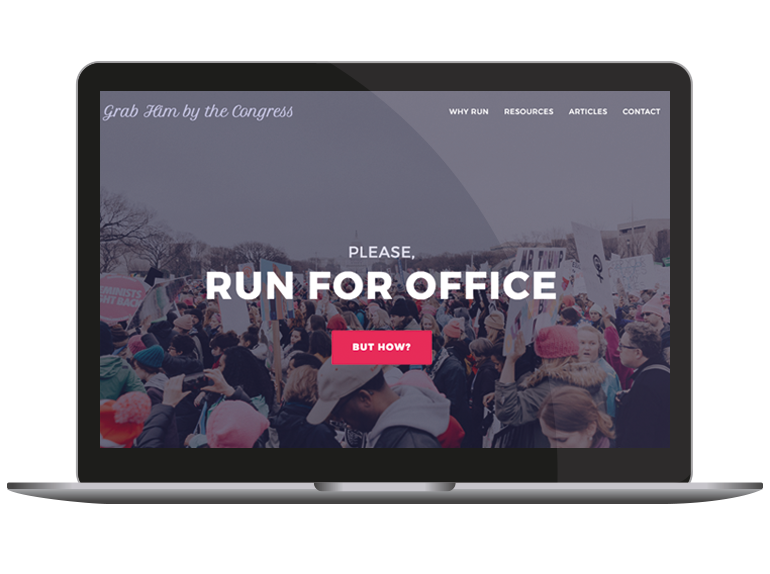 Built using the Bootstrap framework on a static AWS host. 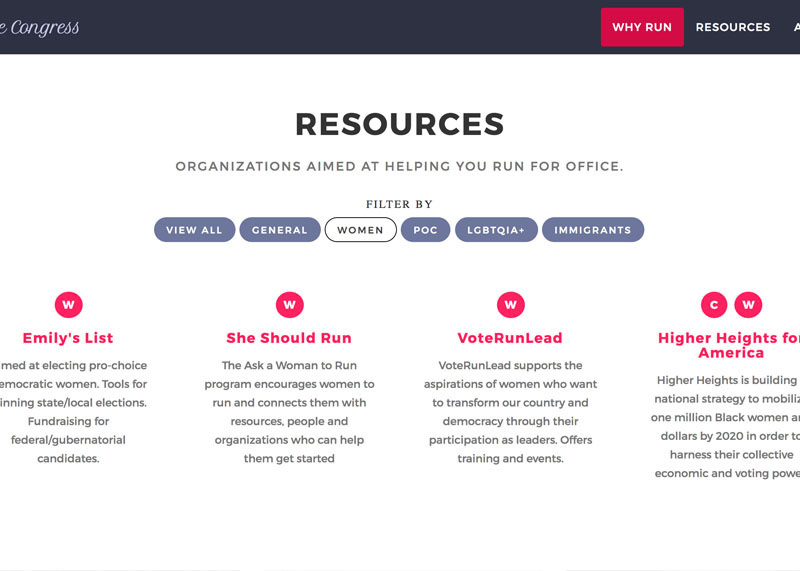 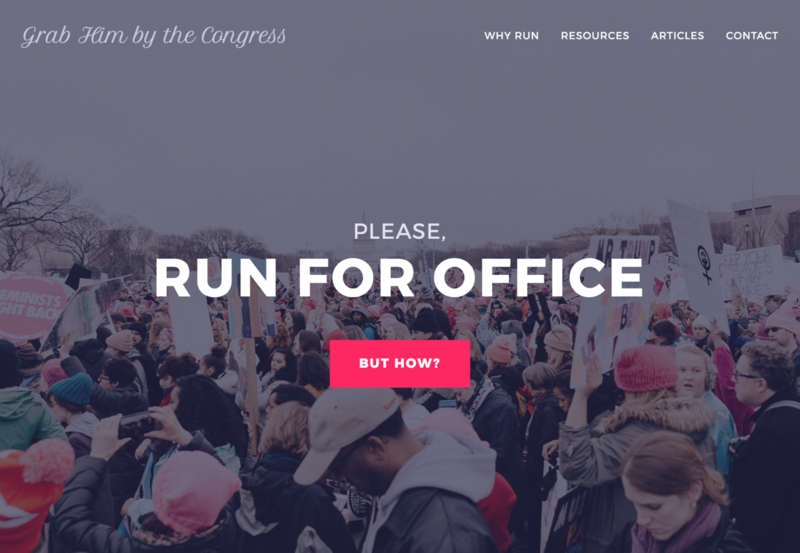 A continuously updated list of resources to help elect women, minorities, and marginalized Americans to office. 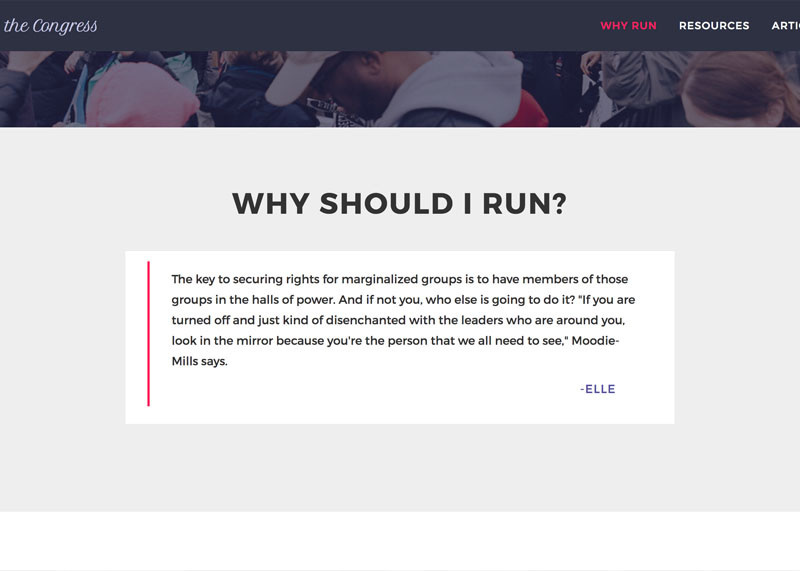 Designed, researched, and coded website. 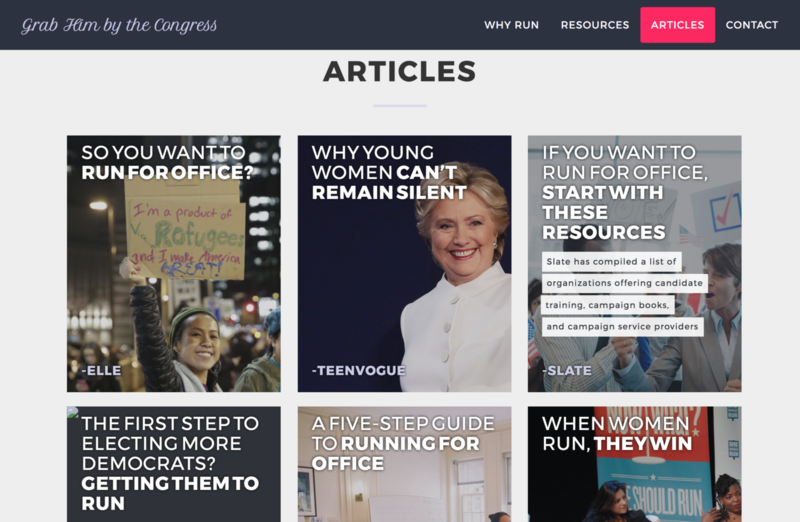 Made resource list filterable by demographic with the use of tabs.